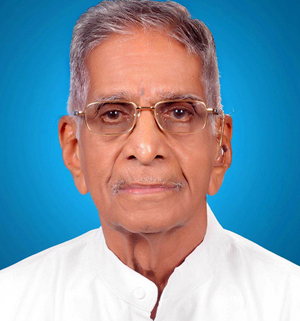 Puttur, Oct 30 2018: Renowned textile merchant M Sanjeeva Shetty (95) who owned textile shops in Puttur and Mangaluru, passed away on October 30, Tuesday morning. Sanjeeva Shetty who complained of chest pain at around 4.30 am was immediately rushed to the local hospital where he breathed his last. Shetty who had first launched his textile business in Puttur decades ago later set up the textile shop named after him in Mangaluru too. His last rites are scheduled to be held today at 5 pm.